Hello Everyone, WOW We hope your Christmas was as blessed as ours! 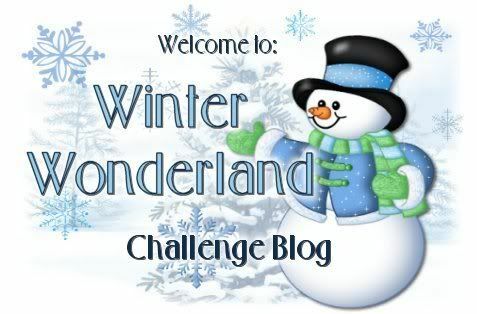 We have a few changes coming up in 2010 for the Winter Wonderland Blog and they are all good :O) we are currently on the look out for some fabulous new sponsors, so please get in touch if you would like to be a part of our challenge for 2010!!! We are also going to be changing the feel of the blog from January, not everyone wants to make Christmassy cards in the New Year so we are going to sway the themes to fit around events happening in each month,BUT first and foremost we will remain a Christmas Blog! 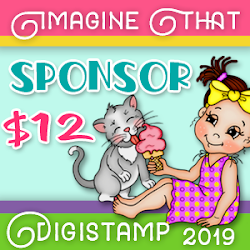 Also YES theres more, we are going to be running a DT CALL this January and hosting our very first DT Blog Hop with lots of candy :O) we really hope you will join us for all the excitement! 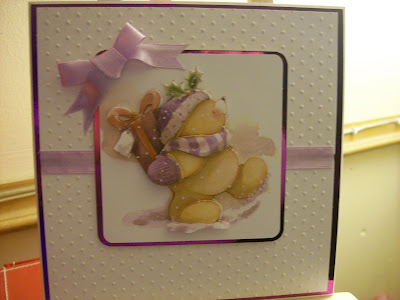 We are one of only a few Challenge blogs that have a Challenge out this week and often the Thankyou Cards are overlooked at Christmastime so that is our theme this week, if you find yourself with new stash from Christmas and a little spare time we would love to see your creations, as always we are open to your own interpretations! 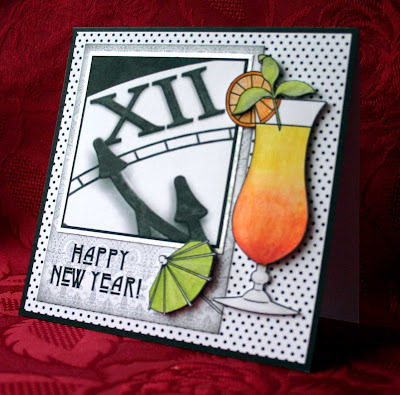 Week 30 - Happy New Year! Welcome to the last Sunday before Christmas dear friends! 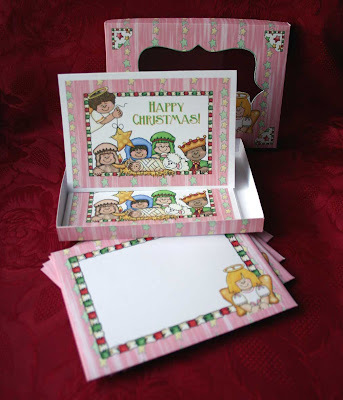 Your Nativity cards last week were beautiful …. And so varied. It was fab visiting all your blogs and seeing what you had created. 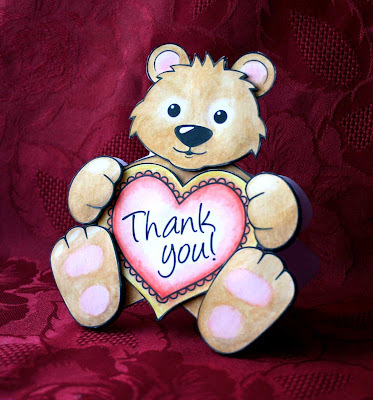 Thank you all so much for joining in with us again. We have decided this week not to have a Christmas based theme, but instead to concentrate on ‘Happy New Year’. Hopefully you will get a little time this week in between all the last minute rushing around to join us! We would love to see all your projects, so don’t forget to post into Mr Linky below. 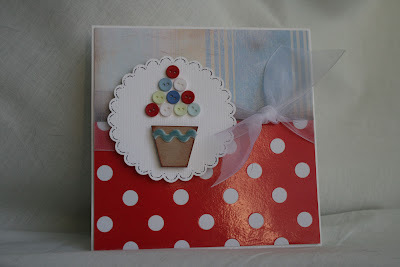 and they have kindly offered one winner 4 In Style Images of your choice :O) Thankyou so very much! The lovely Marianne is our Guest DT and has helped us with our samples this week. 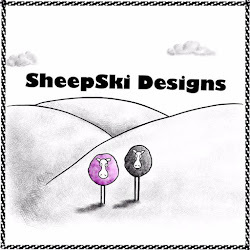 If you haven't yet seen Marianne's work before, hop over to her very gorgeous blog and have a look at her beautiful projects! It's over to you now! Don't forget to add your blog post link into Mr Linky so that we can see what you've been up to! Our inspirational theme this week is NATIVITY. It is, of course completely open to your own interpretation and we would love to see what you create this week based on this theme. Remember it doesn't have to be a card ...... we would love to see your decorations, scrapbook layouts, bags or boxes or whatever else takes your fancy! 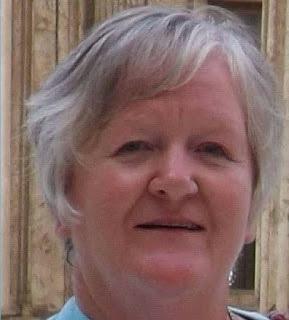 We are delighted to be sponsored once again by the fabulous Regina Easter of The Cutting Cafe who is offering a prize of 3 of her brilliant digi kits to one lucky player who's name will be drawn at random. Week 28 - Ho! Ho! Ho!! 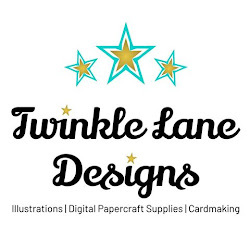 There are not many shopping days left until Christmas and still oodles of presents to buy, if only we were as organised with our shopping as our card making at christmas LOL !!!! Well I speak for myself, the rest of the Design Team and those of you that have been joining us each week! I have just sorted out a big pile of christmas cards and posted the ones that need to be sent and I have written and sealed the hand delivered ones. Still will definately need a few more incase I receive one from someone I forgot. Enough of my organised mayhem and onto this weeks theme. 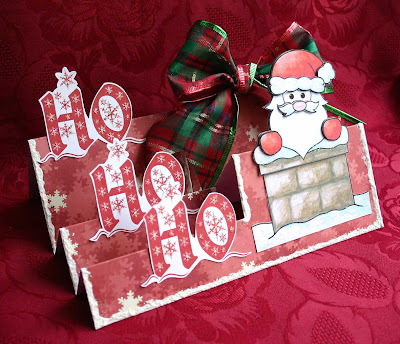 This week we are wanting to see cards using the theme Ho!Ho! Ho! 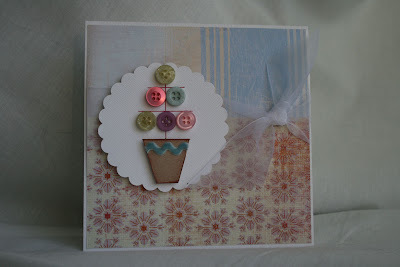 as always the theme is open to your interpretation and we love to see projects and cards on this challenge blog. We hope you will be able to find time in the week (amidst the christmas baking, shopping, nativity plays etc) to join in and play. Here are the stunning creations from the Design Team to tickle your mojo. ...or both if you're feeling extra festive!! Welcome to another Sunday folks and we are so pleased to see you here again! 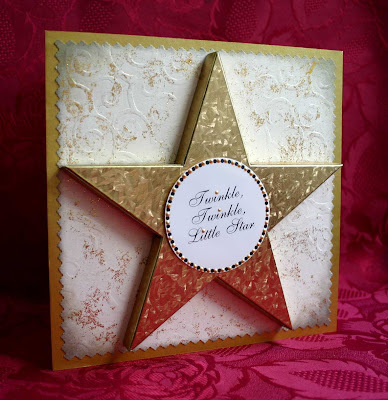 Your cards last week were fabulous, as always, and it's amazing to see all those projects without the obvious Christmas stash available to make them. 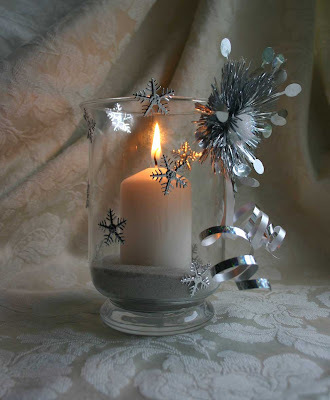 Please join us in welcoming Avril aboard, and pop over to her blog to see how she made this wonderful decorated candle trim. Now, if you're someone who has often fancied trying out stamping on candles but you're a bit unsure how you go about it, we have a fabulous video tutorial for you HERE from the very talented Beate Johns. Now it's your turn. We can't wait to see your candles and/or holders! 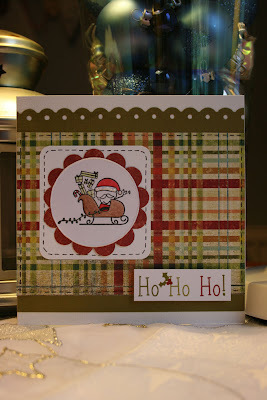 Winter Wonderland # 26 - No Christmas Stamp or Paper! 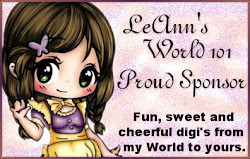 Hi everyone thank you for all the entries into last weeks challenge. They were really lovely and the team had a great time visiting you all. Well thanksgiving to go and it is a clear road to christmas, Yippee!!!! This week we have a more unusual challenge for you all. It is time to give those christmas stamps and those christmas papers a breather (well they do work non stop at this time of the year). 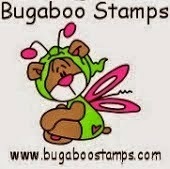 We would like you to use any other stamps or papers you have and make them festive. 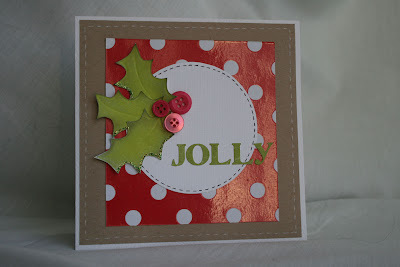 If you like you may wish to use your christmas dies, embossing folders or templates. You may have some decoupage sheets that you have not used for a while. The choice of what you do is yours this week we would like you to stick to cards as the challenge is not to use a christmas stamp or paper on a card. 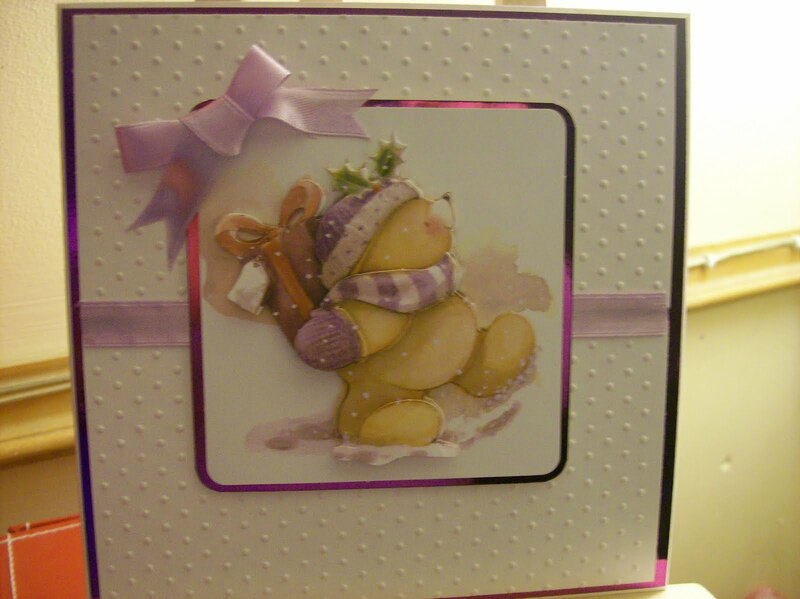 This week we have the lovely Christine joining us again so please go and visit her blog to see more about how she created this beautiful card. The team have been busy too and here are their delightful creations for you. So now it's over to you - show us what fab things you can do without your Christmas stamps and background papers and don't forget to leave us a link to your blog!